What an amazing sky. This was the scene late on a stormy afternoon in the Scottish Highlands where big skies and some 'wicked' weather were the order of the day. Laid is a small crofting hamlet on the shores of Loch Eriboll and I have included some of the buildings at the base to offer scale to the image. 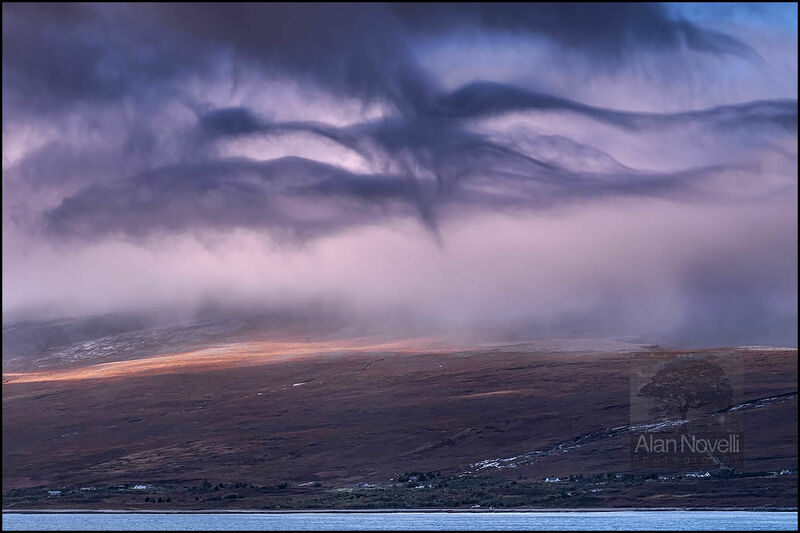 There were many truly remarkable cloud formations that day, but this was easily the most dynamic and unusual example.